The Preschool and Day Care program has been serving the San Antonio community for more than 50 years. 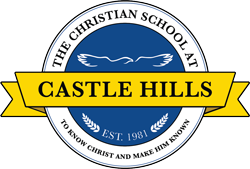 As part of The Christian School at Castle Hills, our mission is to teach children to know Christ and make Him known! 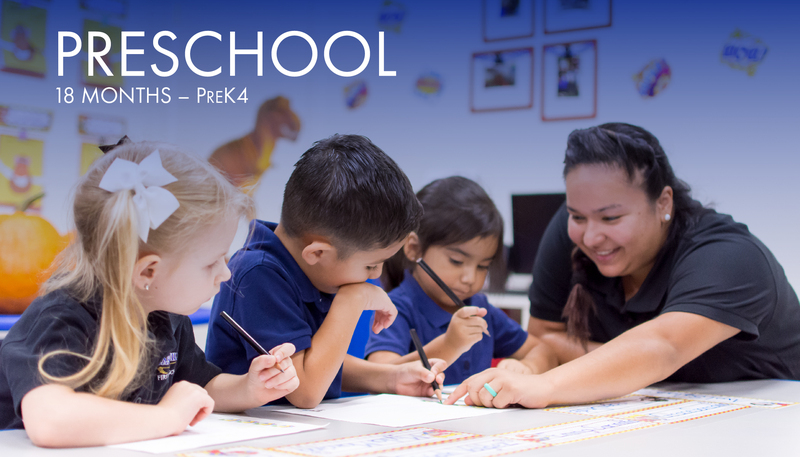 We have a team of approximately 50 teachers and staff who love, instruct, and serve our preschool children, ages 18 months through 5 years (PreK-4). We are accredited by the Association of Christian Schools, ensuring that our staff and programs meet the highest standards of excellence! Each day, school begins in circle time with songs, prayer, pledges and Bible verses. Love and laughter—along with a Christ-centered, warm and nurturing environment—are evident in each of our classrooms. One of our goals is to maintain a well-balanced curriculum for each of our classes that includes hands-on learning and an academic foundation critical for school readiness. Taught from a Christian worldview, we use A Beka curriculum for letters, phonics, reading, numbers and writing, while Scripture Bites curriculum is used for additional math lessons, science activities, and sensory experiences. Toys, materials, computer software, and furnishings are continually updated to provide new challenges and spark new interest. Since kids needs optimal outside play time, spacious playgrounds with shade trees allow children to maximize outdoor fun all throughout the year. The school also offers two gymnasiums for indoor fun when weather prohibits outdoor activities. Perhaps one of our greatest strengths as a premier, early childhood learning center is the longevity of many of our staff members. Several of our teachers have taught for more than a decade, many at Castle Hills. Some of our older students have literally “grown up” on the Castle Hills campus, and these students love to go back to hug or thank their preschool teachers for the Godly influence they had in their lives! Our teachers pour their hearts and souls into their children and classrooms. Each class is organized with many centers for age-appropriate learning. Some of these centers include: home living, drama, blocks and sensory learning, library, puzzles and problem solving, art and creativity, and science and exploration. Children also attend music classes and put on special performances for their parents. Spanish, computer, nutrition, and twirl and tap dance classes are also offered once a week for an additional fee. Finally, a sufficient number of adults per class allow our children to receive proper care and instruction each day. Full-time care is offered Monday through Friday from 7 a.m. – 6 p.m. Half day preschool hours are 8:30 a.m. – 11:30 a.m. Families with more than one child receive monthly discounts if the children are enrolled full time. Furthermore, before and after school care for our Elementary and Intermediate School-aged children (up to the age of 12) is available, along with a fun-filled summer program for children ages 18 months—12 years. Welcome to Castle Hills Preschool! I am so excited that you are considering our preschool as the place for your child to grow and learn! It is our prayer that each child and family we are privileged to serve will experience exciting, fulfilling preschool years of growing and learning together through the One who first loved us, Jesus Christ. At Castle Hills, our dedicated and experienced teachers provide a stimulating and creative educational environment for our children while surrounding them with their love, and most importantly, the love of the Lord. We commit ourselves to a deep concern for the overall intellectual, physical, social and emotional development of each child. We promise to provide well-rounded preparation for their school years within our warm, Christian environment. We instill in our children a love for learning along with sound Biblical values and virtues. 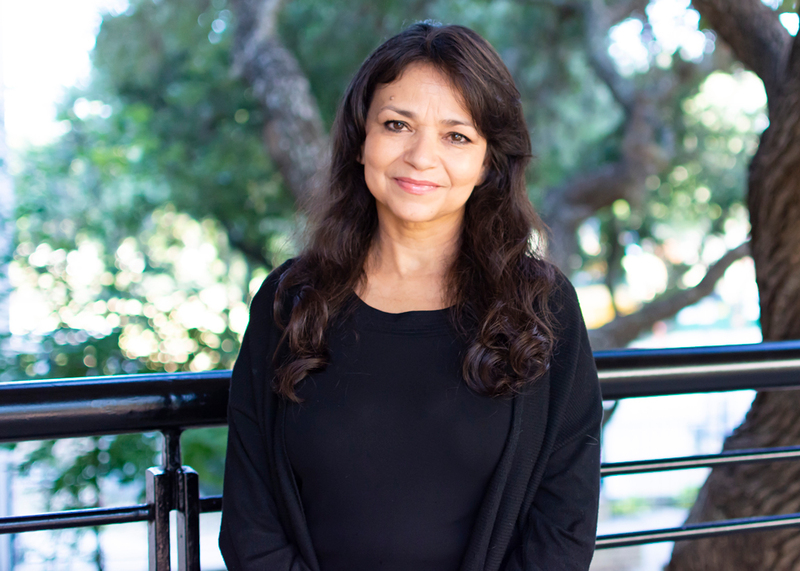 I have been in early education for 27 years — seventeen of those years here at Castle Hills Preschool. I believe that preschool is a great way to begin building the foundation of a child’s future! I can’t imagine a better place for your children to spend their day learning and growing in their knowledge of Jesus. We offer a variety of preschool classes and schedules to meet the needs of our families. If you are interested in learning more about us or to set up a tour, please call the preschool office at 377-8487 or e-mail me at aesparza@castlehills.school. Are parents required to be a Christian in order for their child to attend Castle Hills First Baptist School? At least one parent must be a Christian and have a personal relationship with Jesus Christ. We teach and conduct our school from a distinctively evangelistic Christian point-of-view. We ask parents to read our Statement of Faith and to sign it indicating support for the fact that those doctrines will be taught. 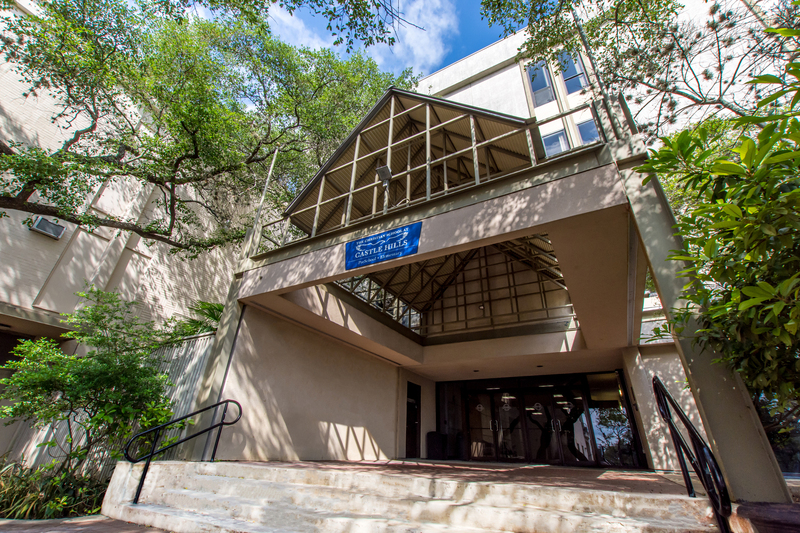 Castle Hills is accredited through ACSI, recognized by the Texas Education Agency via TEPSAC (Texas Private School Accreditation Commission). Students graduate with a full transcript accepted at all colleges and universities. What age must students be to enroll in preschool? Castle Hills starts preschool curriculum at 18 months old. Castle Hills operates as a preschool during the traditional school calendar year by following a structured schedule and using developmentally appropriate curriculum. During traditional school breaks, Castle Hills operates more like a daycare as there is a break in the curriculum instruction. Castle Hills has security officers on duty. We also have locked entrances. Castle Hills preschool operates 7 a.m. to 6 p.m. 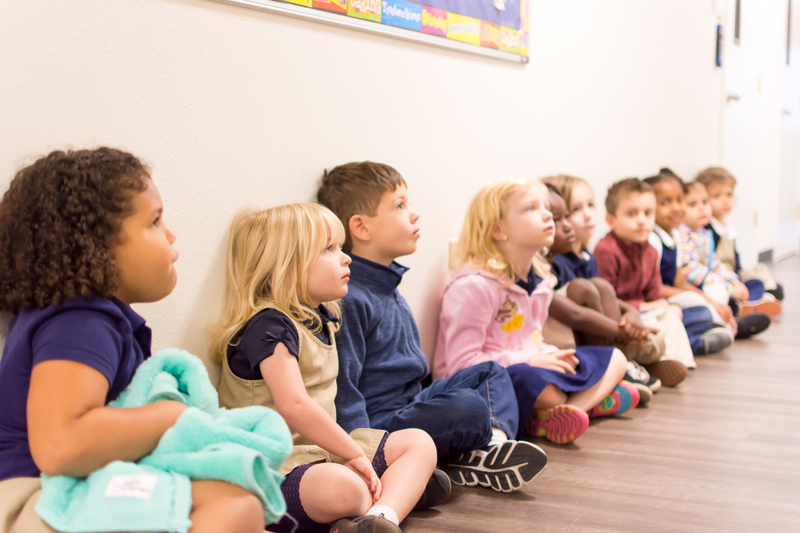 The preschool programs use age appropriate curriculums, such as, Cuddle Bugs, Tender Times, A beka, Scripture Bites, and Mother Goose Time. Currently, only the 4 year olds have a uniform requirement, which includes a polo shirt in school colors; blue jeans, khaki shorts, or khaki pants; and black shoes. Is there a hot lunch available? Effective on May 30, 2018, lunches and snacks will be provided by A Matter of Taste Catering. The goal of “AMOT” is to encourage children to eat well balanced meals by offering child-friendly foods that are appetizing and nutritious. A variety of fresh fruits and vegetables, foods that are baked, not fried, and serve age appropriate portion sizes will be provided for a lunch fee. Prices vary according to grade level. For more info, go to the AMOT website Here. Is there a bus system? Castle Hills does not provide a bus system for transportation of students to and from school; however, we do have busses/shuttles that are used for field trips and school activities. Please see the Mission/Vision page to review the core beliefs of Castle Hills.